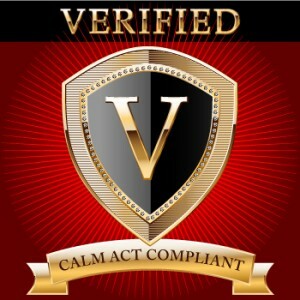 Broadcasters are aware that in 2010 President Obama signed Commercial Advertisement Loudness Mitigation (CALM) Act. The CALM Act required the Federal Communications Commission to issue a regulation compelling compliance with the “Recommended Practice: Techniques for Establishing and Maintaining Audio Loudness for Digital Television.” The FCC’s regulation, effective December 13, 2012, requires television commercial advertisements to have the same average volume as the programs they accompany. The regulation is incredibly complex. The difficult task of compliance is worsened by the fact that the standards are periodically changed and, compounding the problems, different nations have different standards – for example, EBU R128, ATSC 8/85, ARIB TR-B32, BS.1770-1, BS.1770.2 Because the CALM Act and regulation permit, indeed encourage, complaints from any interested person making it likely that complaints will soon be arriving at the FCC. Human Factor now offers a service of verifying that covered broadcasts comply with the FCC’s regulation and the standards of other nations. This service is offered on a timely and affordable basis and gives broadcasters peace of mind that they have acted reasonably to comply with the new and complex rules.